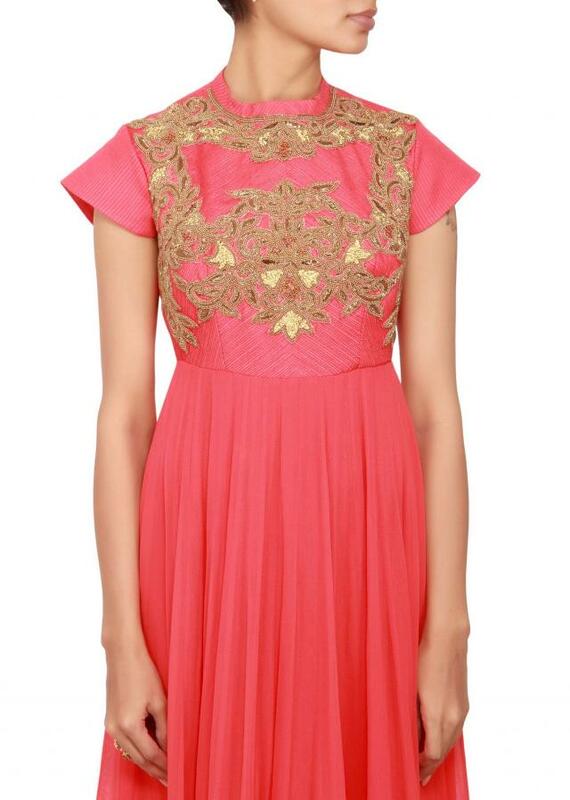 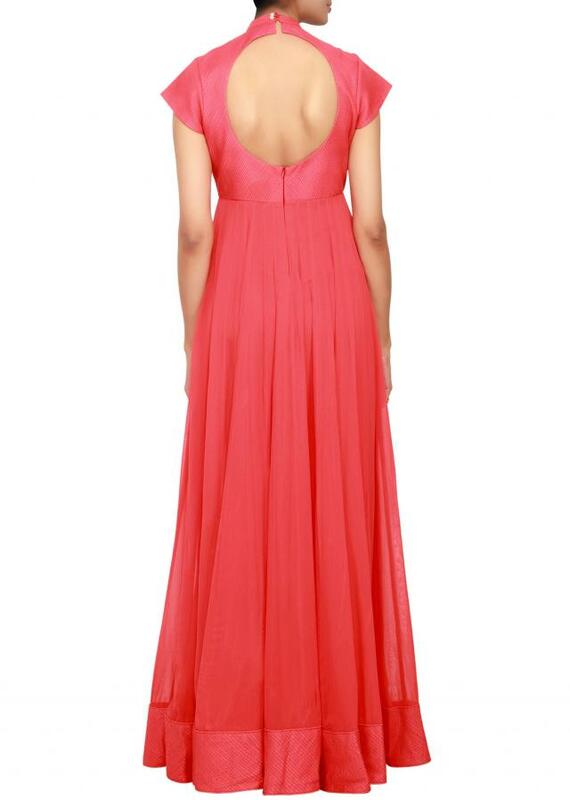 Featuring an anarkali in coral georgette with bodice embellished in gold zardosi embroidery. Border is in coral silk. 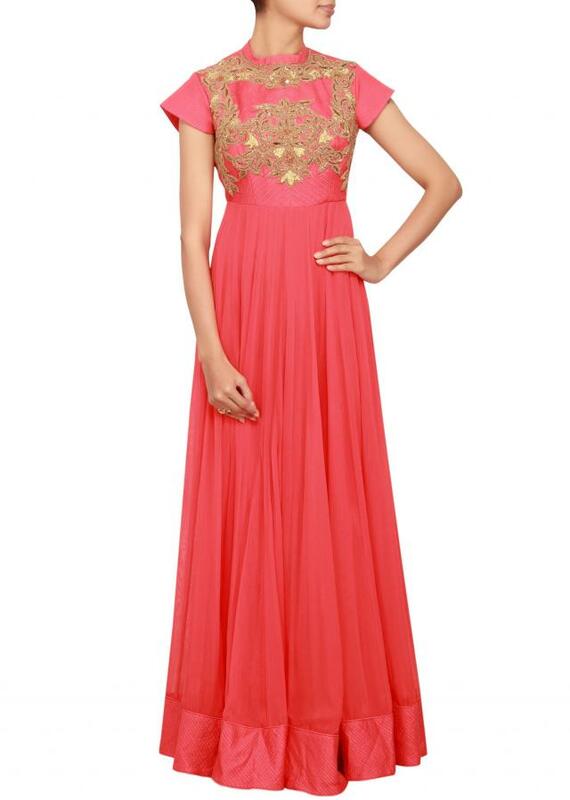 It comes with a coral lycra churidaar. 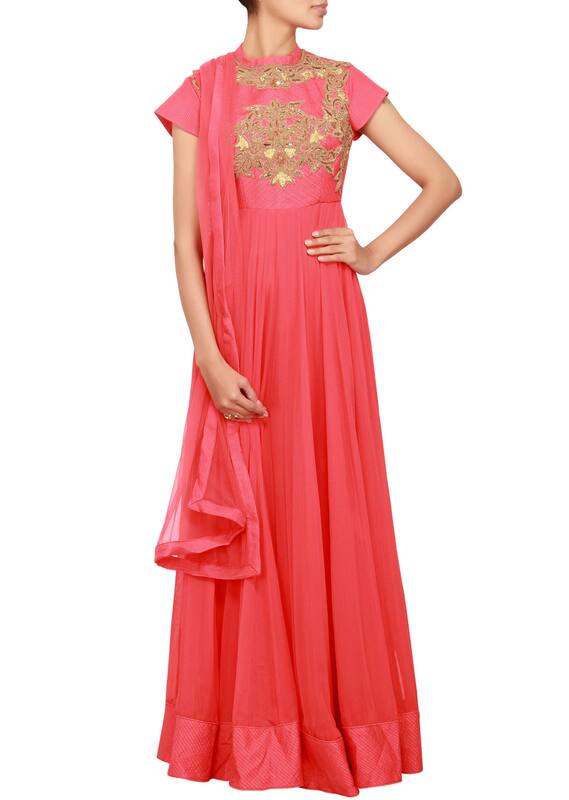 Dupatta is in coral net.